If you're in need of some storage but lack the space, this console table is perfect for you, taking up a small amount of room and providing plenty of storage space in return thanks to its triple drawer design, perfect for storing away bits and bobs and keeping your room tidy. 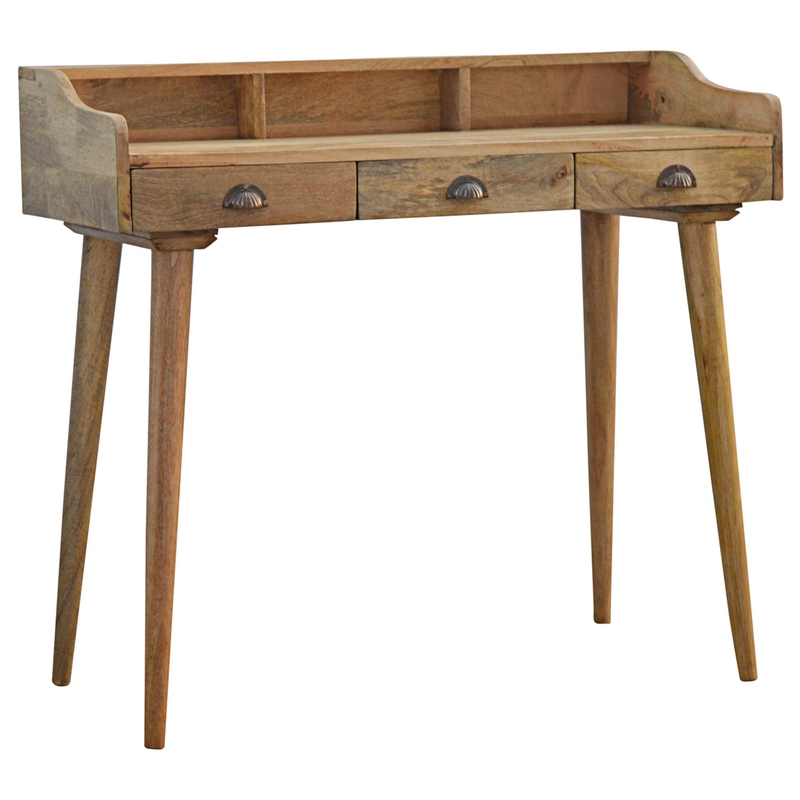 Made from 100% mango wood, this console table has been built to last and will become a favourite of yours through your entire home. Featuring an oak effect finish this is truly a stylish piece of furniture and will give you the wow factor your home needs.